You know it can make calls. You know it has Siri. And you most likely knew that you can track your fitness with it. But did you know all these other things the Apple Watch can do? ...or just use it as a normal camera remote like these porch-sittin' folks. If the Apple Watch is running low on battery or you just want to make sure it lasts as long as possible without charging you can put it into power reserve mode. When this mode is on, you will only be able to check the time. With the Chipotle app, you are just one button away from your favorite burrito. Using the built in Remote App, you can control the music on your computer. This is perfect for DJ-ing your next party. You can also use this app to control an Apple TV. While texting anyone, you can bring up this menu and just tap "Send My Current Location." With this, you can show on a map where you are instead of telling them. There are already plenty of games on the Apple Watch, and let's face it:, you can never have too much Trivia Crack. You can start your car ahead of time, configure the air conditioning/heating and keep track of where it is parked... if you have a Porsche or BMW i series. At this time those are the only two brands that have Apple Watch apps, but more car manufacturers have already stated that they are working on apps, so it won't be long before all cars have this functionality. If you have some nosy friends, you can turn on this setting and the details of a notification (like the contents of a text) will not appear until you tap on the icon. As if ordering an Uber wasn't already convenient enough, now you can do it straight from your watch. If you have Hue lights by Philips, you can turn on/off and change the color of your lights with the Apple Watch. Fitness is a key feature of the Apple Watch, but a strange addition is the ability to keep track of how much you are sitting and remind you to stand up when you need to. It's never been easier to shop online. There's a whole store sitting on your wrist at all times. You're are just a few taps away from restocking your energy bar supply. 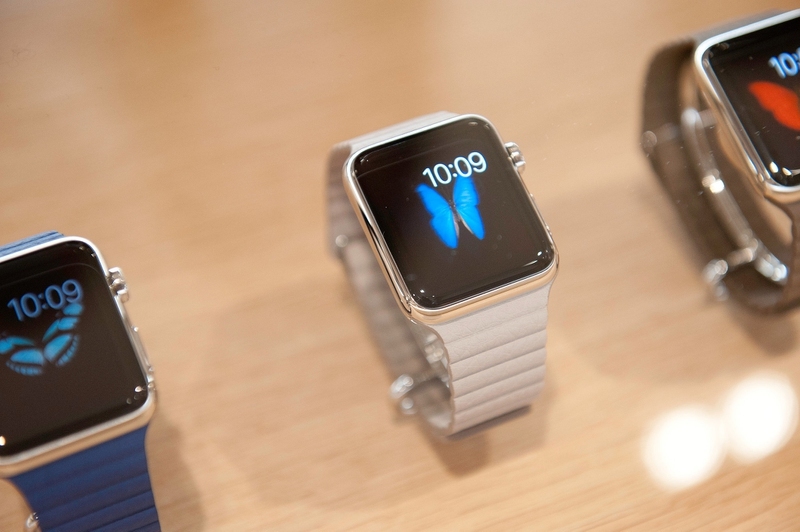 Both righties and lefties can enjoy the Apple Watch. Switching the orientation allows you to wear the watch on either wrist and even flip it around depending on where you want the button and digital crown to be. So it's pretty cool that you are able to control a presentation from your Apple Watch... but you will probably look like a total show off while doing it. Never has it been easier to arrange a dinner date with a stranger you matched with simply because you both thought the other one was hot.